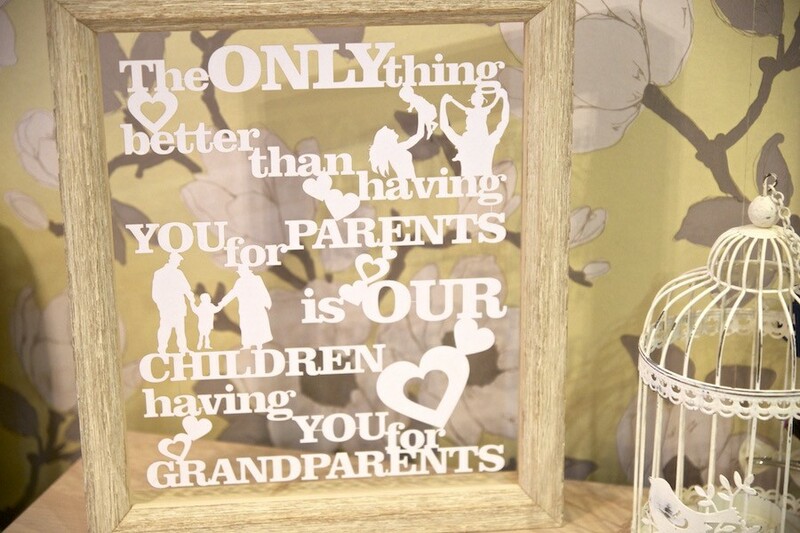 Is searching for that perfect sentimental gift for grandparents exhausting? Proud of your parents and want to show them just how much they mean to you and your kids? 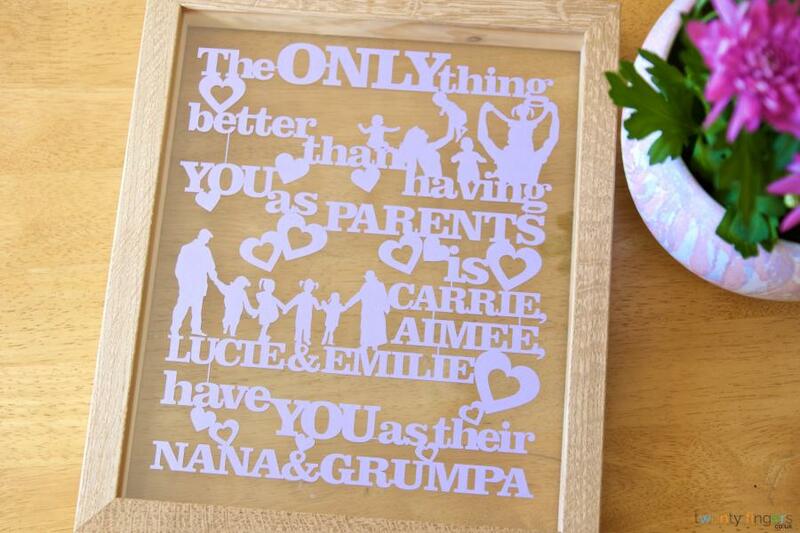 We’ve got the perfect gift for them – our lovely personalised papercut that can be customised anyway you like and is guaranteed to bring tears of joy to their faces as soon as they open it! It’s highly customisable; you can change the wording, add the names or even add a message to it. You don’t have to just leave it as it is. And you can make it even more personal by swapping out “our children” for your child’s or children’s names. 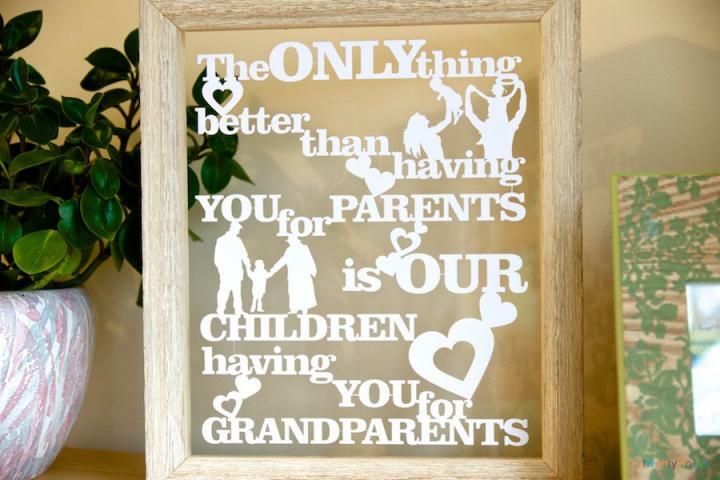 For example, it could read “The only thing better than having you as a Mum is Billy having you as a Nana” or “The only thing better than having you for MY parents is my children having you for Grandparents”. You can choose the colour of the artwork and the frame, to make your papercut a truly bespoke present. 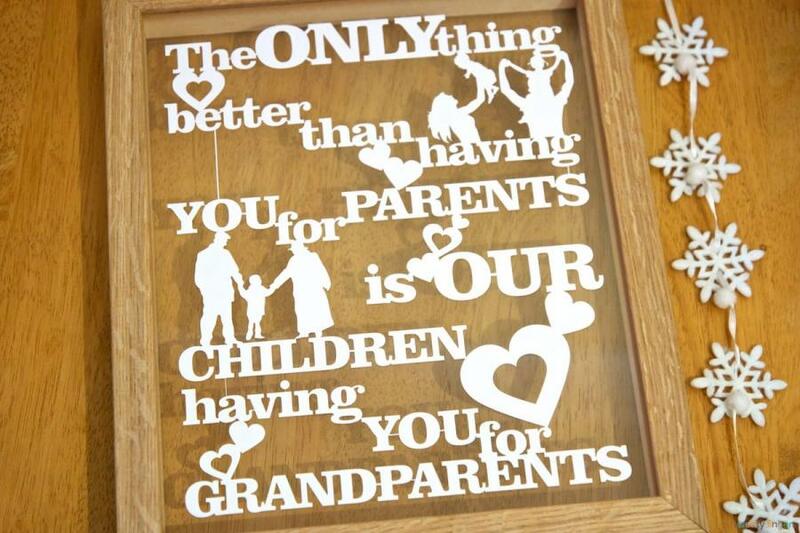 Anyone proud of their family is sure to cherish this special and thoughtful present forever. Choose the size of your artwork. You can select from standard or large size. Choose the colour of the artwork, from the wide variety of shade options we have displayed. Choose the frame colour (unless you want it unframed and will frame it yourself). Personalise it even further by including the instructions in the “personalisation” box. Framed using one of our unique, handmade floating frames designed by us and made by our local framers in Buckinghamshire. The frame inner measure 10” by 12” or 12" x 16". Framed using one of our unique and more affordable handmade traditional style frames with the background of your choice. Unframed. If you have your own frame or are not sure about matching colours and décor, you can order your papercut without a frame. We’ll design and cut it for you. It will be temporarily mounted to corrugated paper to ensure it won’t get damaged on its way to you. Invisible TrueColour Glass eliminates 99% of sun glare and adds UV protection to your artwork. It does cost a bit more but is well worth it. Absolutely gorgeous product! Was a gift for my parents from our kids, lovely artwork and was packaged so nicely. They were so chuffed with it, thank you! 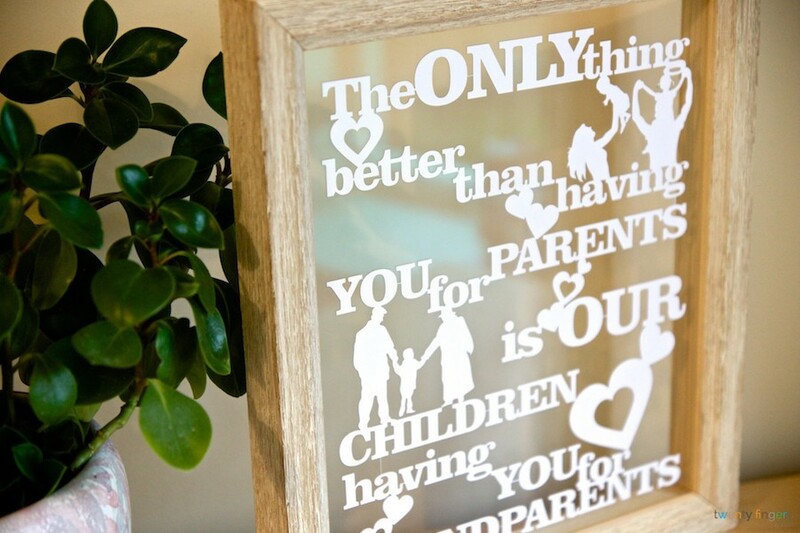 We love our papercut work of art. The words are from our special song which was played the night we met, during our vows (on a harp) and for our first dance. Such a lovely permanent reminder of happy times. Thank you for your workmanship.